On April 7th, 35 local shreds from the Aspen valley competed in a no holds barred rail jam to the death for 1000$ in cold cash and eternal bragging rights forever! The weekend was kicked off Saturday night with a reception party at Radio Boardshop in downtown Aspen. Fat Tire provided beers and Smith marketing rep AJ Appezzato provided the good vibes. Riders faced off in stare downs and many grudges were vocalized. It was clear the competition was going to be the fiercest the valley had ever seen. Sunday brought clear conditions and a party vibe at the base of Buttermilk, where nearly 200 spectators jeered and cheered the 35 brave shredders who came to meet their fate at the Grudge match. Tricks were determined by wheel of fortune. Each competitor had to complete the chosen trick on their feature of choice. Best iteration commenced until 10 competitors remained. From there, the grudge got real as the format switched to "jam style" where best tricks won fame, infamy and clout amongst the field. At the end of the day, dust settling, Lucas Foster took the 1k Cash for first place with best trick going to the legendary Mark Pinter for a gnarly 1 footer 360 Method! 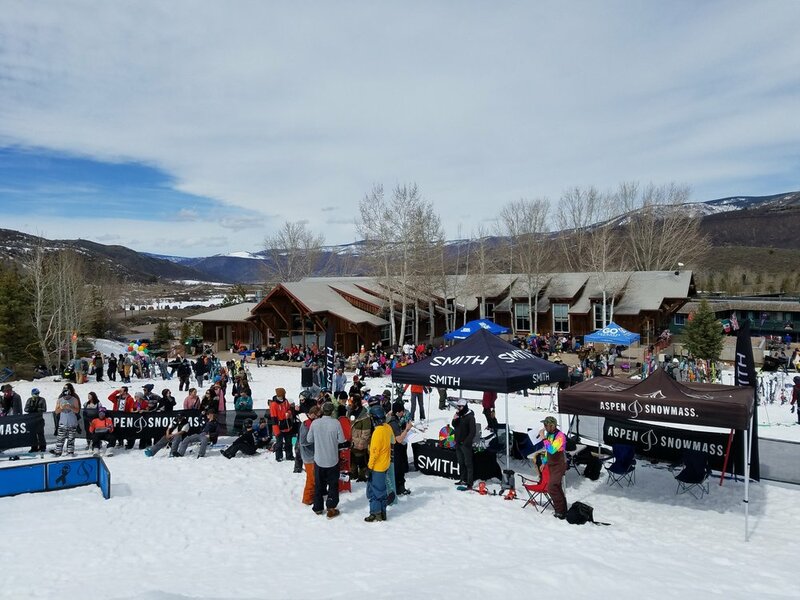 Thank you to our partners, Smith, Radio Boardshop, Aspen Snowmass and Fat Tire for the all time spring event!"